The Discovery Channel series Moonshiners is almost halfway through its eighth season, and viewers are noticing that some fan-favorite bootleggers are missing in moonshine-making action. Most noticeably absent from the popular (and slightly illegal) reality show are father-son duo Jeff and Lance Waldroup, who have been on Moonshiners since Season 2. So, what happened to Jeff and Lance on Moonshiners? When it comes to attempting to make moonshine and failing brilliantly, Lance is the first person who comes to mind. The young bootlegger is known for messing up and turning to his dad for help. For example, last season, Lance attempted to sell absinthe but failed to check the retail price and was surprised when nobody bought from his batch, which was priced three times the going rate. Either way, six episodes into Season 8, Jeff and Lance have yet to make an appearance, and fans are convinced they are not on this season of Moonshiners. 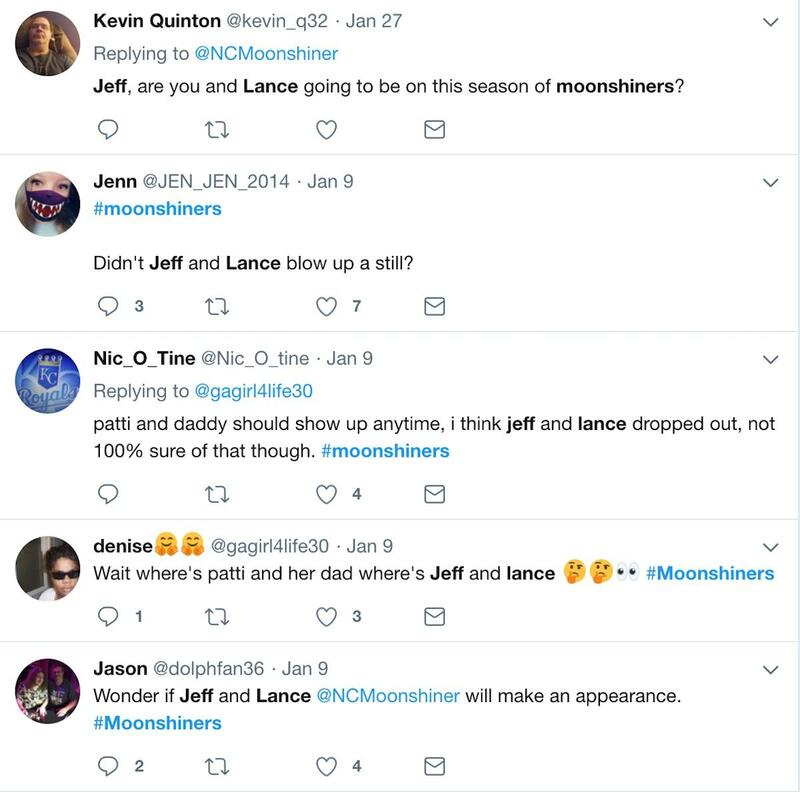 "Patti and daddy should show up anytime, I think Jeff and Lance dropped out, not 100 percent sure of that though," one fan tweeted before another added, " Looks like a new team / couple will be introduced next episode," implying Jeff and Lance have been replaced. On social media, Lance is buying and selling personal items such as an Xbox, flat-screen television, and even a car, which could mean he's in financial trouble. Likewise, his dad, Jeff, is not responding to fans' questions about his status on the Moonshiners cast — and busy promoting items the family is selling. However, this does not mean it's the end for Jeff and Lance on Moonshiners. Both are still listed on the show's website, and according to his bio, Jeff is determined to double his family's bootlegging business and "place his operation firmly at the top." His Twitter bio also still reads "Official Moonshiner," which means they could be back for Season 9. Did Chico and Sondra quit Moonshiners? Also not returning for Season 8 are Chico and Sondra, who just welcomed a baby boy named Wyatt this past November. "Chico and Sondra will not be appearing on this season of Moonshiners," Discovery said in a statement. 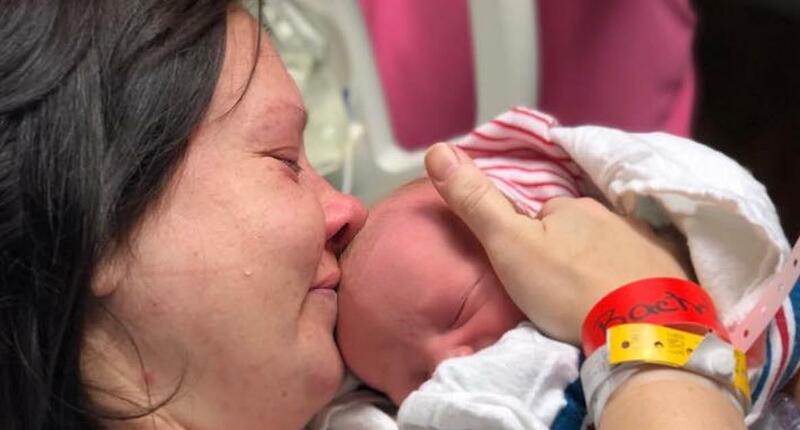 However, Chico did give an update on Sondra and their newborn, sharing a photo of the new mom and his son on Facebook, which he captioned, "This is for who asked about Sondra she is doing just fine." Plus, it looks like Chico and Sondra have gone legitimate and launched a whiskey called Olde Towne Moonshiner Chico Spirit Whiskey. "Moonshiner Chico is from the TV show Moonshiners and he has partnered up with Olde Towne Distillery to produce a blend of our good Bourbon and White Liquor to make Spirit Whiskey," reads a description of the alcoholic beverage. "The whiskey is 20 percent Bourbon and 80 percent White whiskey straight out of the still, then the Blended Whiskey is aged in charred oak barrel staves to give it a unique flavor. It is a smooth drinking whiskey with an aged flavor of the oak staves much like the old whiskey of the past." Let's hope Jeff and Lance also have success in the whiskey business on (or off) Moonshiners. Watch Moonshiners Wednesdays at 9 p.m. on Discovery.